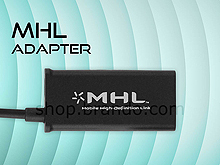 The HDMI output cable ( MHL cable ) connector essentially connects to the micro USB port and allows users to connect an HDMI cable from the connector to their HDTV. 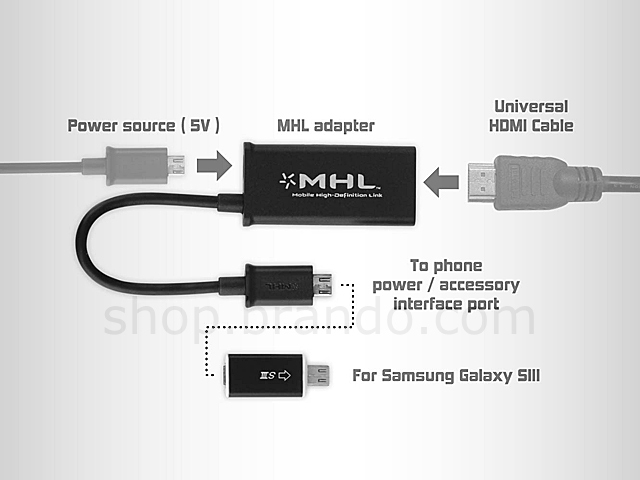 Also required is a power cable, so users can connect the micro USB charging cable to the MHL adapter as well to power the whole setup. 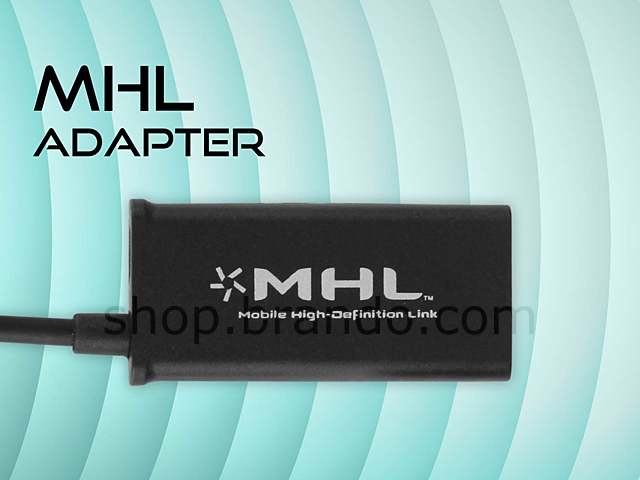 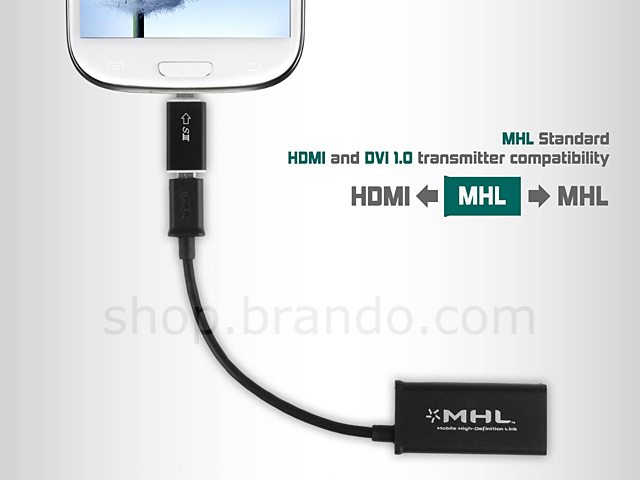 With an MHL cable, users can mirror the content of their phone display onto the HDTV. 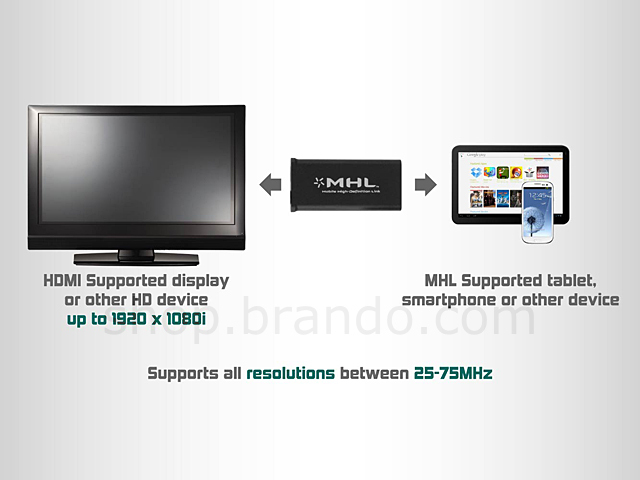 In addition to using an MHL cable, in the past, various Samsung smartphones have also supported wireless capabilities to send photos and content to a compatible WiFi-enabled HDTV set.